McDonald's said on Tuesday that it had begun serving fresh beef Quarter Pounders and other premium burgers at about 3,500 restaurants, with most other U.S. locations following suit by May. The fresh beef expansion comes as McDonald's is improving food quality and increasing menu variety to counter competition from older rivals such as Wendy's as well as more premium chains like Chick-fil-A, In-N-Out and Shake Shack. One year ago, McDonald's announced plans to sell some of its burgers made with fresh — rather than frozen — beef in the majority of its roughly 14,000 U.S. restaurants by mid-2018 to produce juicier burgers. 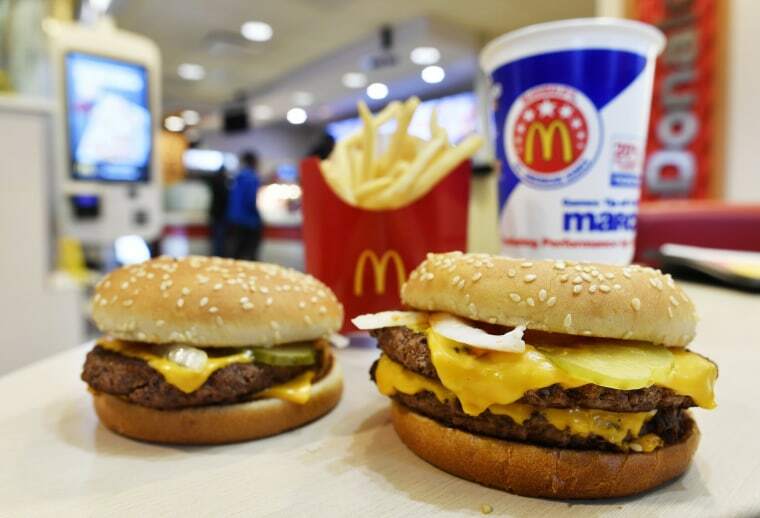 McDonald's U.S. President Chris Kempczinski called the switch to fresh beef Quarter Pounders the most significant change to restaurant operations since the company began offering all-day breakfast in 2015. The project has required changes by kitchen crews and suppliers. "Our suppliers have invested about $60 million updating their supply chain to be able to make this conversion from frozen to fresh," Kempczinski told reporters. Franchisees were initially concerned about what cooking made-to-order burgers would do to service time, he later told Reuters. It's the most significant change since McDonald's began offering all-day breakfast in 2015. "If it slows down the drive-through, that's the critical part of our business. And so we just had to spend a lot of time really making sure that as we were cooking only when someone ordered, we'd figured out a way to do it that wasn't going to slow down service time," he said. Fresh beef Quarter Pounders and premium "signature crafted" burgers are now available in restaurants in Miami, Orlando, and Nashville. Over the next month, the rollout will add Los Angeles, Houston, and San Francisco. Chief Executive Steve Easterbrook has made many changes since taking the helm three years ago, including eliminating artificial preservatives from the company's popular McNuggets, slimming down its Happy Meal menus for children and reversing traffic declines with help from all-day breakfast. The new processes and technology have created anxiety for some franchisees who are grappling with a tight labor market. "There's no question that we're being asked to do more, faster than we previously were. But if we don't stay ahead, particularly on technology, I believe that would be a mistake," said Joe Jasper, who owns 20 McDonald's franchises in Texas.